The remodeling contractor you choose can be the biggest factor in determining the success or stress of your remodeling project. Selecting the right remodeler means, you are much more likely to be satisfied with your project and the remodeling experience. 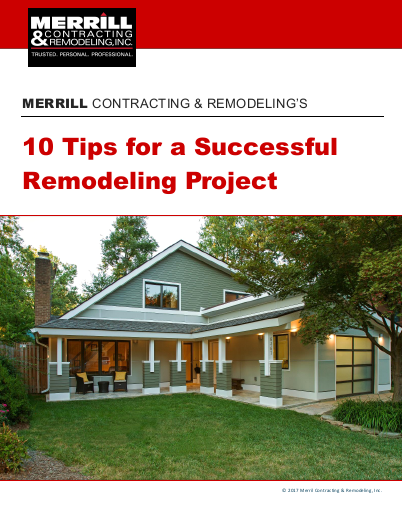 Select the wrong remodeler, however, and your project and remodeling experience could become one of those remodeling horror stories you hear of all too often. We want to help you select the remodeler that is best for you and your project. That’s why we’ve put together the following list of some of the most important things to consider and questions to ask. You’ll find three sections — red flags, yellow flags and green flags. In each area, you can find the answers you need by looking at the remodeler’s website, talking to them on the phone, having an initial consultation and subsequent meetings. You should also review Establishing Your Home Remodeling Priorities and Questions to Ask Homeowner References. Click on the links in the Red, Yellow and Green boxes below to read all about the warning signs you should be watching for when you’re looking for a remodeling contractor. Ask questions and watch for RED FLAGS. Ask questions. If any of the Red Flags applies to the remodeler you’re considering, we suggest you disqualify them. If there are no Red Flags, move on to the Yellow Flag list. The YELLOW FLAGS mean proceed with caution. If a few flags are raised, it may be fine to proceed with that remodeler. But if there are too many Yellow Flags, you should probably protect yourself and remove that remodeler from consideration. The GREEN FLAG list helps you find the best fit for you. Compare the remodelers that made it through Red and Yellow Flag questions to see who is most qualified and best fit for the project, your budget and you. Get answers to these Green Flag questions.